A couple of summers ago I climbed Devil’s Tower in Wyoming on a 98 degree day. As there was no place to empty up on the rock, I used closed-end pouches and carried the full ones out in my backpack. As I was rappelling the route upon completion of the climb, I noticed that I could smell ostomy output through my backpack. Oh no! My used ostomy pouches must be leaking out of the plastic bags I put them in, I thought. When I got to the base of the tower, I opened the lid of my pack with trepidation. However, all was well with my ostomy pouches. They were still nestled securely in three layers of plastic– the final one being an OPSAK odor-proof bag. The heat had simply made things very smelly and no amount of bagging seemed to help. If odor-proof bags couldn’t conceal the smell, I figured nothing could. I accepted that an odoriferous backpack would be my new reality on hot-weather outdoor adventures. Fortunately, thanks to a new product called OstoSolutions Ostomy Pouch Disposal Seals, my backpack will be smelling a lot fresher. Last fall, a representative from the company contacted me to see if I would give the OstoSolution Seals a try and provide feedback. Though I don’t get paid to promote products, I enjoy trying samples out and letting readers know about supplies that may make managing their ostomy easier. After learning about the OstoSolutions Seals, I was excited to test them out because it seemed like there were many situations where they could be useful for outdoor adventures. An OstoSolutions Ostomy Pouch Disposal Seal is a lid for the opening of a two-piece ostomy pouch. It snaps on and keeps any odor or output from coming out when a used pouch is thrown away. To insure a tight fit, Ostosolutions Seals are pouch-specific and are available for a wide variety of brands and sizes. I have an ileostomy and empty my pouch four to eight times a day. Because of this, I usually use drainable pouches and keep one on for three to four days. If I were to use disposable closed-end pouches everyday, I would go through far too many and it would be expensive. However, when I am in places where it is difficult to empty a pouch, for instance on a cliff face or in deep snow, I do use closed-end pouches and pack them out when full. These are the times when I could see the OstoSolutions Seals being practical for me. The first opportunity I had to try out the seals was while doing volunteer flood-relief work in my home state of Colorado. I was scheduled to help dig out a home in a heavily impacted area and knew there would be no restrooms nearby. I wasn’t comfortable digging a hole to empty and it was difficult to find privacy with 20 other volunteers working at the site. My only option for managing my ostomy waste was to use a closed-end pouch and pack it out. This provided the perfect opportunity to test out one of the OstoSolutions Seals. After shoveling mud all morning and taking a lunch break, my pouch was finally getting full. I wandered a short distance from the house, ducked behind a tree, discreetly removed my pouch and popped on a fresh one. Then I snapped an OstoSolutions Ostomy Pouch Disposal Seal onto the coupling ring of the full pouch. It was as easy as putting a lid on a food container and completely secure. I did throw the full pouch in Ziplock out of habit, but I wouldn’t have had to. With the seal securely on the pouch, there was absolutely no chance of stool leaking out. 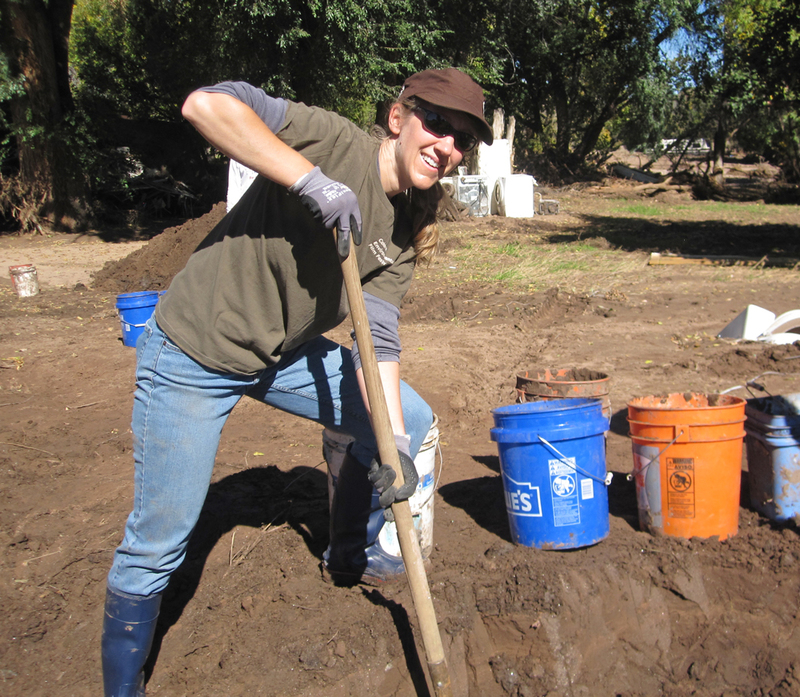 We moved countless buckets of mud as flood relief volunteers. 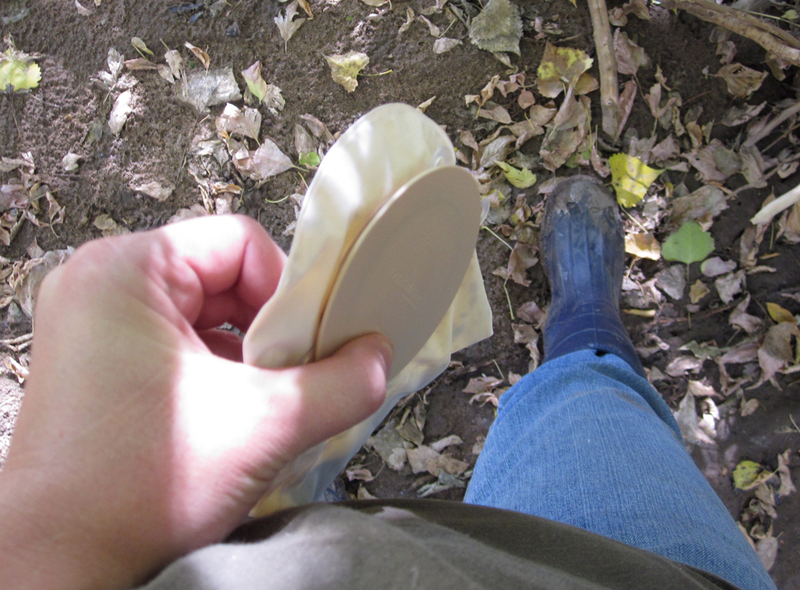 With no restrooms or places to empty my pouch at the site, OstoSolutions Seals made dealing with my ostomy waste easy. OstoSolutions Seals easily snap on the pouch’s coupling ring for a leak- and odor-proof seal. I worked for the remainder of the afternoon and used one more seal on a full pouch before finishing up for the day. My husband and I had carpooled to the site with two strangers in their Volkswagen Golf. As we made the hour-long trip back to Boulder, it was comforting to know that no odors would be wafting out of my pack and into the airspace of the small car. 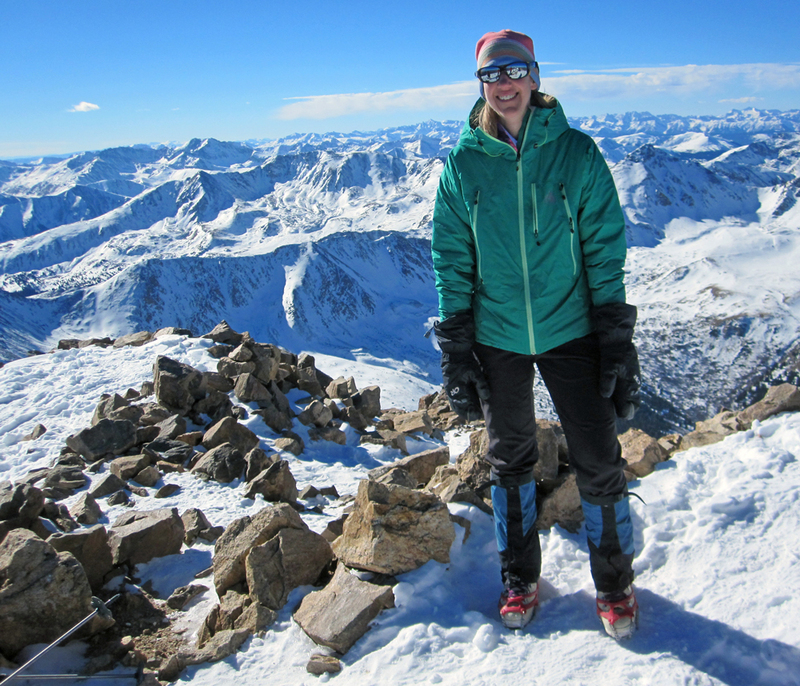 The second test was on a November hike to the top of 14,440 ft. Mt. Elbert in Colorado. I knew it was going to be very cold and windy on the adventure and I hoped that using the OstoSolutions Seals would make swapping out my full pouches faster. I have Raynaud’s disease and when my fingers are exposed to cold temperatures, my circulation becomes impaired. Without blood, they turn waxy white and become prone to frostbite very quickly. Just 500 feet below the summit, I realized my pouch was getting full. My hiking companions kept going while I dashed behind a boulder to swap out pouches. I quickly lowered my waistband, took off the full pouch and put on a fresh one. After that I snapped an Ostosolutions Seal on the used pouch and tossed it loosely into a stuff sack in my pack. After a quick dollop of hand sanitizer, my gloves were quickly back on my hands and I was catching up to my friends on the trail. Not having to take the time to close multiple Ziplock bags in the freezing wind saved my fingers. 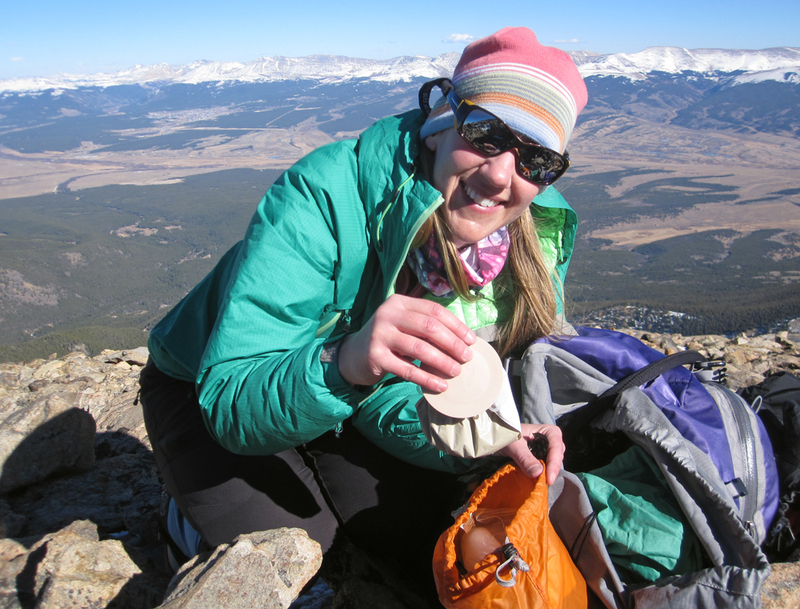 Using OstoSolutions will make swapping out pouches on cold-weather adventures so much easier! With OstoSolutions Seals, there is no need to double-bag. I simply put the full, closed up pouch in a plastic-lined stuff sack. On top of 14,440 ft. Mt. Elbert– the highest peak in Colorado. Though I didn’t get to test out the seals on a hot day like the one on my Devil’s Tower climb, I know that they would be a great tool in these types of conditions. When one disposes of a full pouch in a regular plastic bag, such as a Ziplock, the odors are not contained–especially on warm days. To remedy this I would put all my Ziplocks full of ostomy pouches on a given trip into one large reusable OPSAK brand odor-proof bag. This would work fairly well, but on hot days the OPSAKS never fully contained the odor. Also, the OPSAK bags are expensive, and they would wear out after a while and need to be replaced. With the OstoSolutions Seals, I do not have to worry about using odor-proof bags. Ostomy pouches are already made out of odor-proof materials. By covering the opening with an OstoSolutions Seal, no smells can escape. On some adventures where it is easy to dig holes in the dirt to empty my pouch into, I use drainable pouches instead of packing out my waste in closed-end ones. However, I may still have to pack out used pouches when I change my whole appliance on multi-day backcountry trips. An OstoSolutions Seal could also be used to snap onto a used drainable pouch awaiting disposal. The only disadvantage of the seals for me was knowing that I was adding another piece of plastic to the waste stream each time I used one. However, this impact was counteracted by having to toss away far fewer Ziplock bags. The OstoSolutions are also made out of some recycled plastic. I know having an ostomy does result in throwing away a lot of bags, wafers, packaging and other supplies that only have a one-time use. However, these things are necessary for my quality of life without a colon. I choose to focus on all the other important ways I can reduce, reuse and recycle. For instance, I make my own lunches and carry them in re-usable plastic containers, I don’t buy bottled water, I use cloth grocery bags and I recycle every possible thing I can. Overall, I am very happy with the OstoSolutions Ostomy Pouch Disposal Seals and plan to carry them on my future adventures. With them, used pouch disposal can be fast, discreet and odor-proof. Check out the OstoSolutions website for more information and special offers. 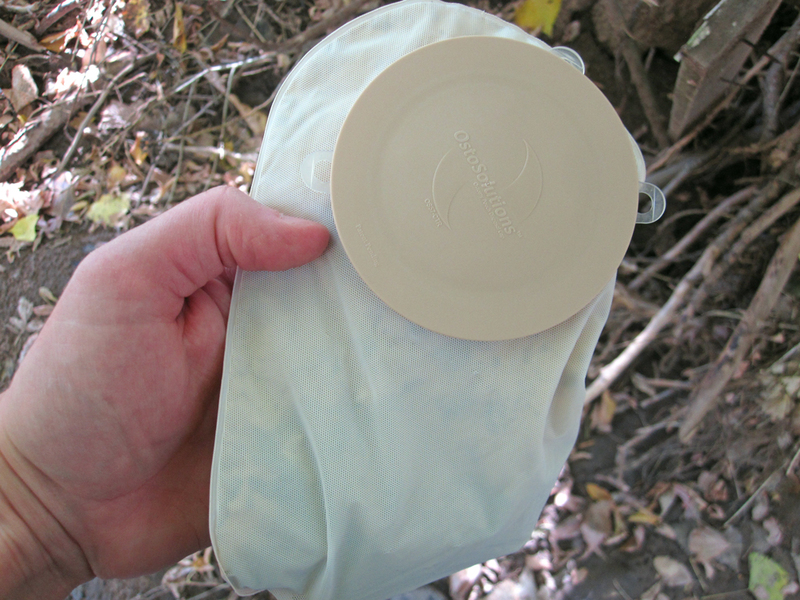 Another review of the OstoSolutions Seals can be found at http://www.livingbiggerwithcolostomy.com/2014/02/ostosolutions-ostomy-pouch-disposal-seal.html.